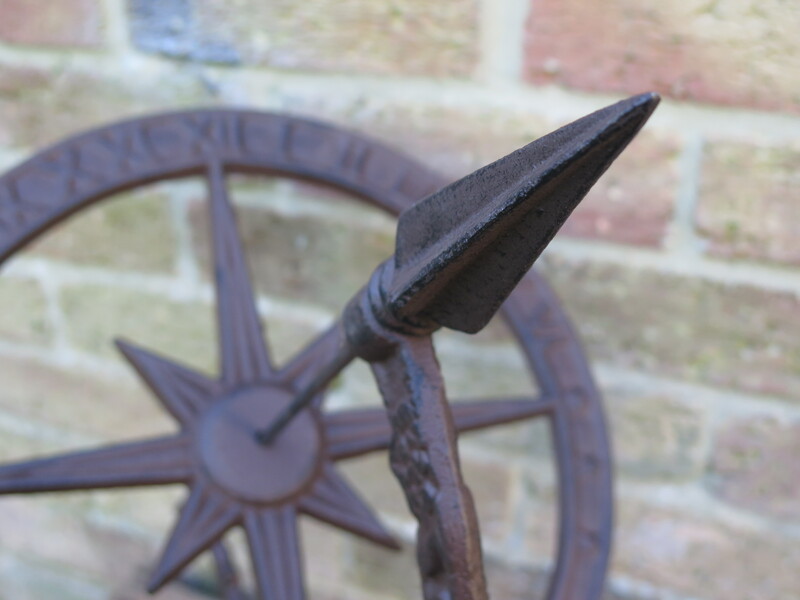 Category: Decorative. 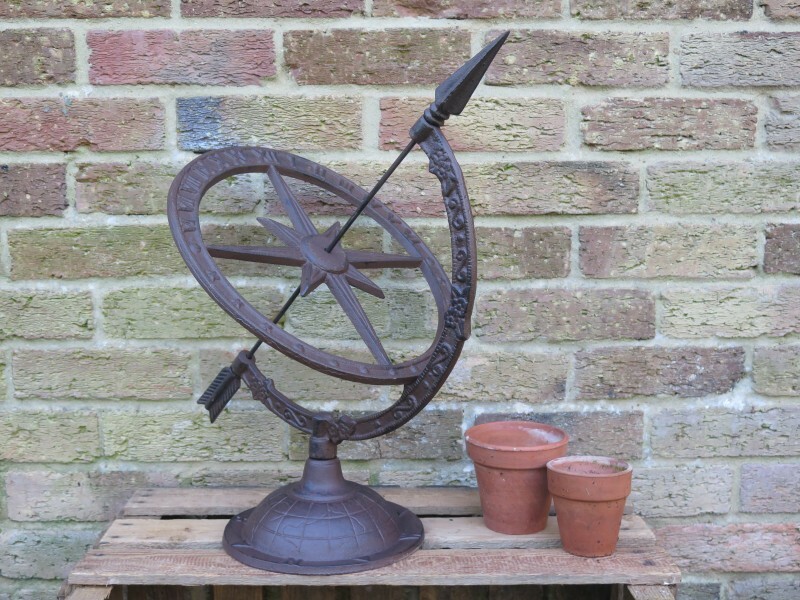 Tags: Armillary, Cast Iron, Metal, Ornament, Sundial. 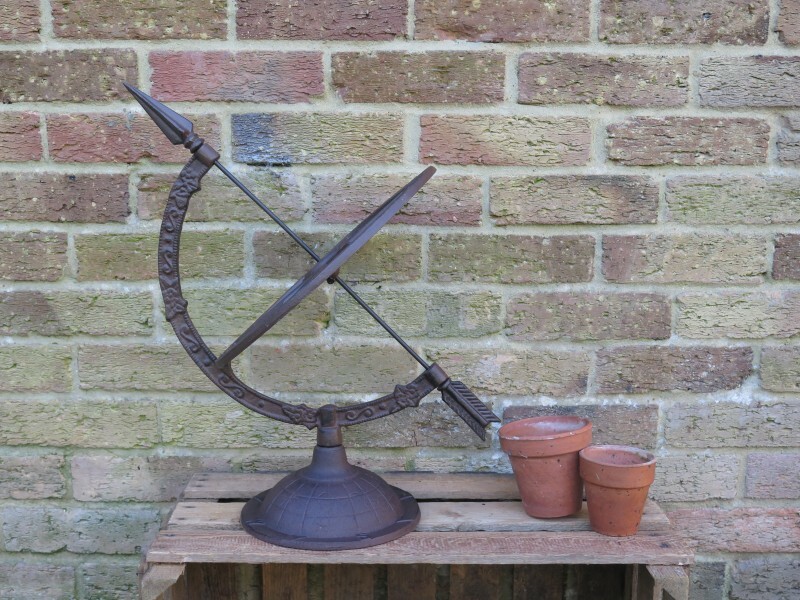 A cast iron armillary sundial with roman numerals, the perfect garden ornament and a handy way of telling the time too! 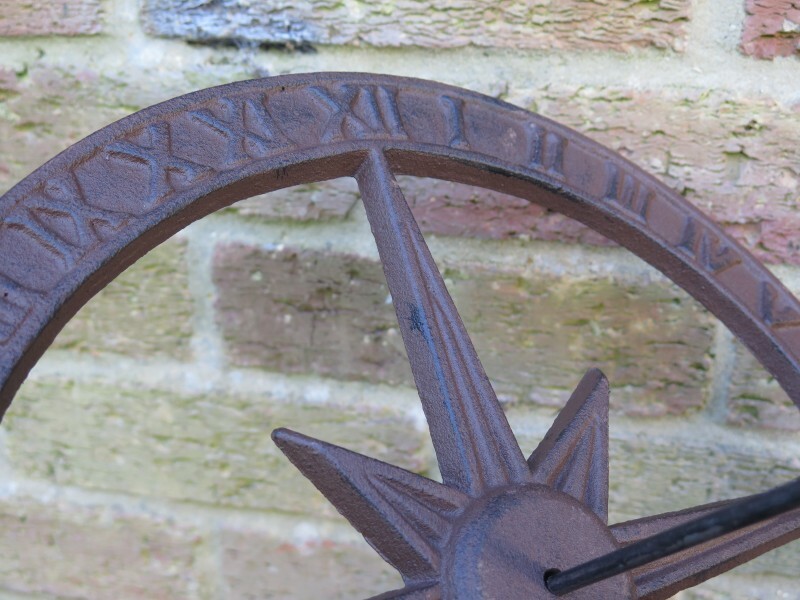 The sundial is self assembly and comes with instructions. Size: 51cm in height and 54cm in width. 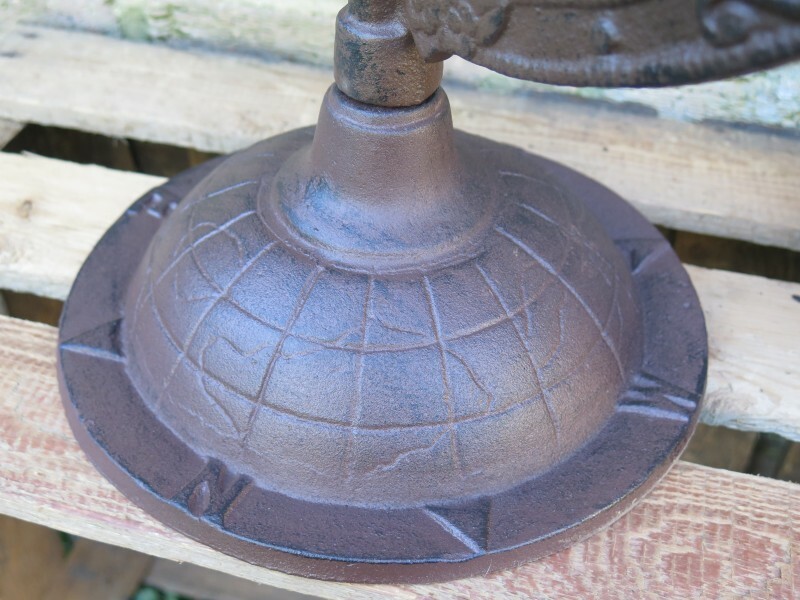 The diameter of the base is 21.5cm and the diameter of the disc is 34cm.